Dazed and Blazed begins in July. 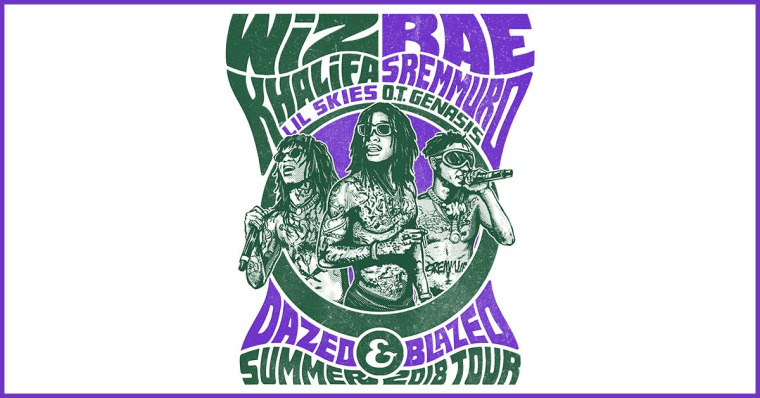 Wiz Khalifa and Rae Sremmurd will co-headline the Dazed and Blazed amphitheater tour, Live Nation announced today. Lil Skies and OT Genesis will support. The tour runs from July through August. Tickets go on sale on Friday, May 18, with VIP options available beginning Tuesday, May 15 at 12 PM EST. See dates below. Rae Sremmurd recently released their first triple album, including two solo projects. Following Dazed and Blaze, they'll join Childish Gambino on tour in the fall. Wiz Khalifa will release Rolling Papers 2, the follow-up to 2011's Rolling Papers, on July 13.